Are you new to business? Wanting to start a business? Finding that you are attracting the wrong customers? Or just simply aren’t getting enough customers? Then this event is for you. 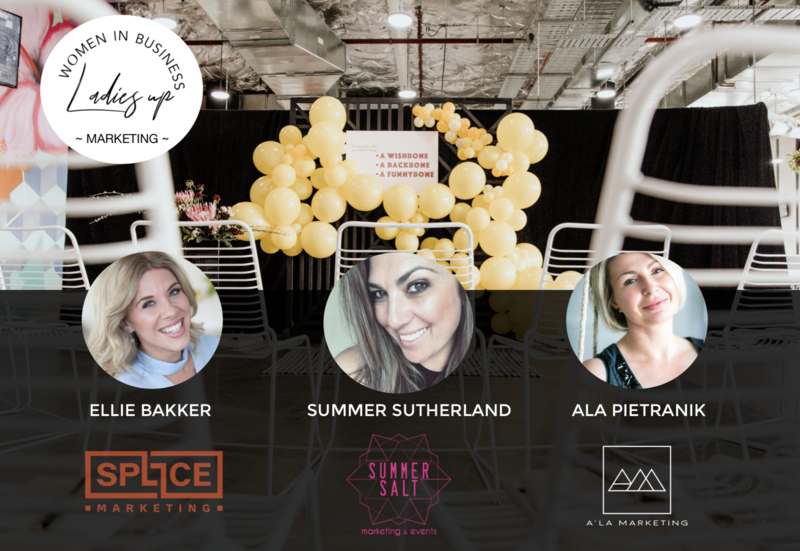 We understand that marketing is an integral part of any business and because we want to dig deep we have created an unplugged pannel discussion with 3 of Brisbane’s talented Marketing Gurus that are the Managing Directors of each of their busy firms. Each targeting a unique industry we will be able to uncover multiple tips and tricks to the industry that will unlock the ultimate marketing strategy you will need to adopt into your business for 2019. We will be uncovering the strategies to starting a business as well as ongoing and forecasting future trends to allow you to remain innovative and stay fit for the 3-4 week business cycle we are currently a part of. Ellie is the Co-Founder and Marketing Director Splice Marketing – Medical Marketing Agency. She has supported medical and healthcare professionals to effectively market themselves and grow their businesses within a highly regulated industry. Ellie’s blend of strategic, analytical and creative thinking and expertise in marketing, has helped physicians deliver health information and treatment options to the right patient, faster. Summer is the Managing Director of Summer Salt Marketing and events. Summer has over a decade of experience in marketing and event management, hospitality, ecommerce and small businesses, as well as senior level hospitality management. She has an absolute passion for building great brands and refining marketing solutions. And when it comes to events, She takes pride in creating amazing events, with an eye for the smallest details and a focus on happy clients! Ala is tha Director of Ala Marketing, a Digital Marketing Agency that she started out of a desire for flexibility, but also dissonance for the ordinary. She believe’s marketing should feel alive, but be interactive and have a personality that reflects who you are. She works with high-quality partners to delivery website design, SEO, digital marketing strategy, social media marketing, content writing and campaigns. If you are ready to up level your business and find out the upcoming marketing trends for 2019 then don’t miss out on this event. For any questions please email hello@forevaevents.com.au or call 07 3262 1821.